The Inn of the Five Graces is simply put, amazing. 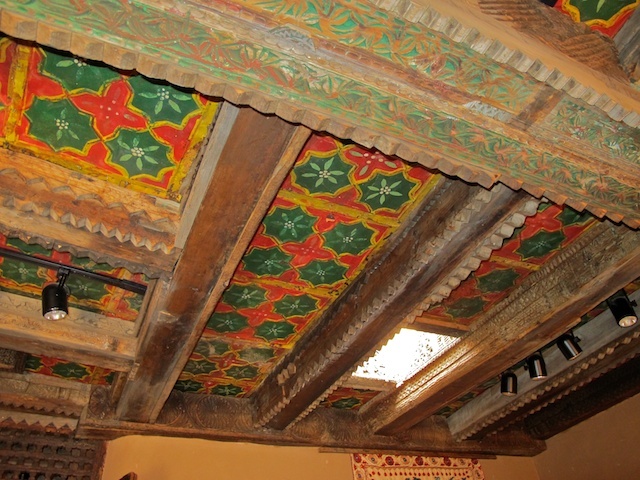 24 unique rooms, no two alike, spread on both sides of the street in a myriad of historic buildings, dating back to the 1600s. 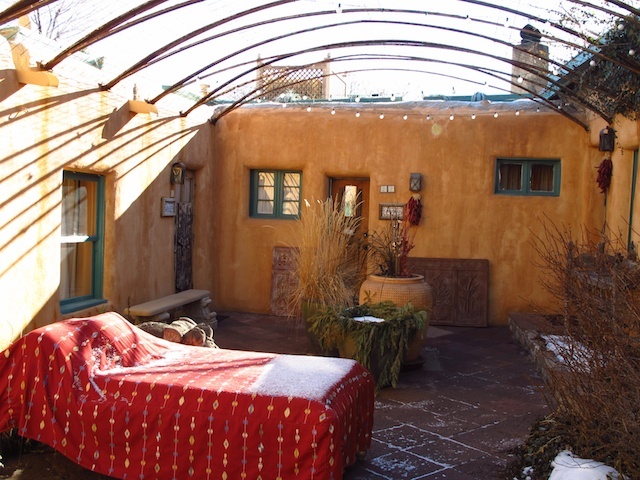 Another big plus is free parking (almost impossible to find in downtown Santa Fe) and a no gratuity policy. 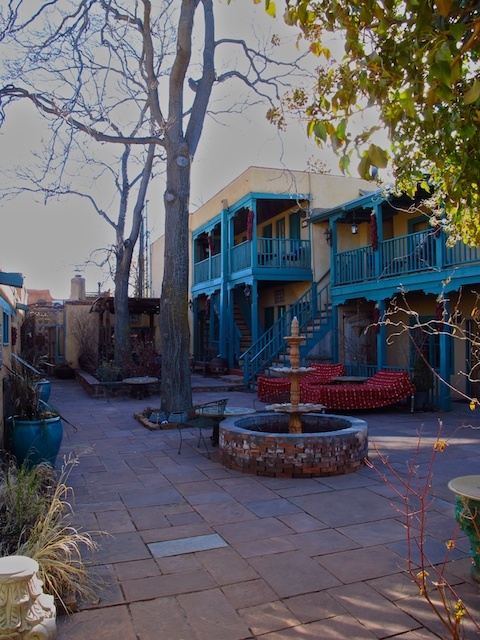 If you’ve been to Santa Fe before, you’ll wonder how you ever missed this place just three blocks from the square. Sitting just off Old Santa Fe Trail, the signs are off of the street, so it’s difficult to spot. That’s part of the magic of this place. 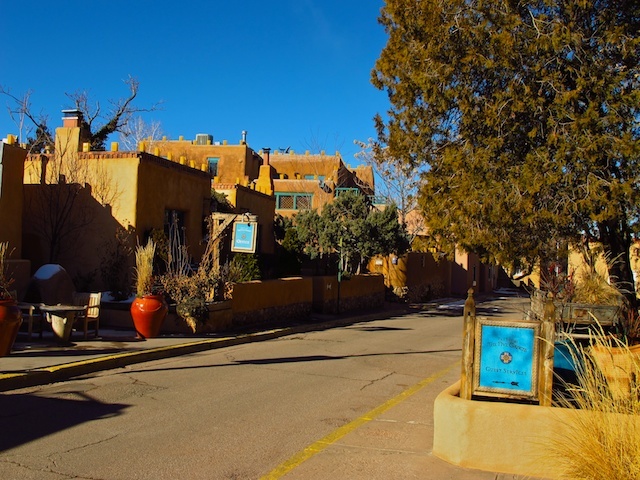 Secluded, yet walking distance to everything that is Santa Fe, including not only the historic square, but also the Canyon Road art district. The street running directly in front of the hotel is one way, so the best thing to do is map it out before you leave. It can be the hardest, easiest place to find. Out of the 24 rooms, no two are the same. 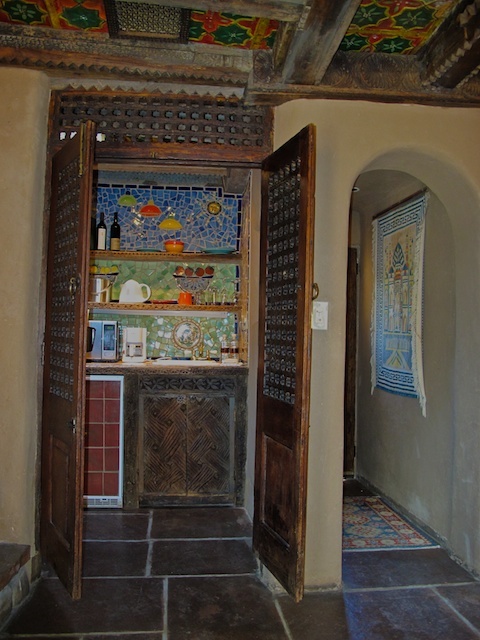 Some are single rooms of smaller size, while other larger rooms actually are multi-room suites with small kitchens and two baths. 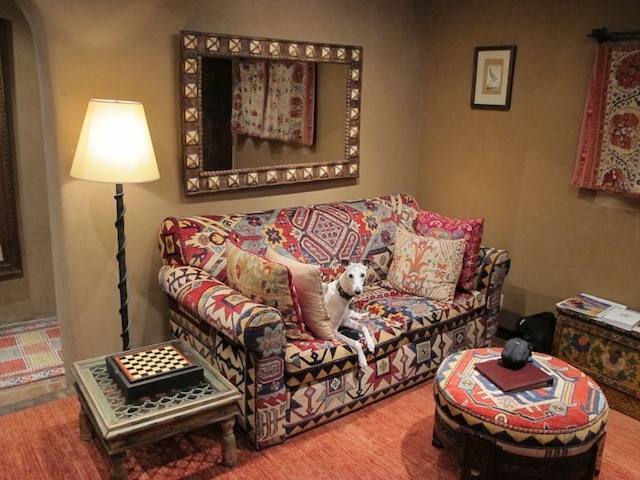 Each room is uniquely furnished with antiques from the owner’s huge antique shop, located near the square (Seret’s). Rooms are located in several small buildings along two sides of the street. Some buildings have one or two rooms, while others have 6 or 8. 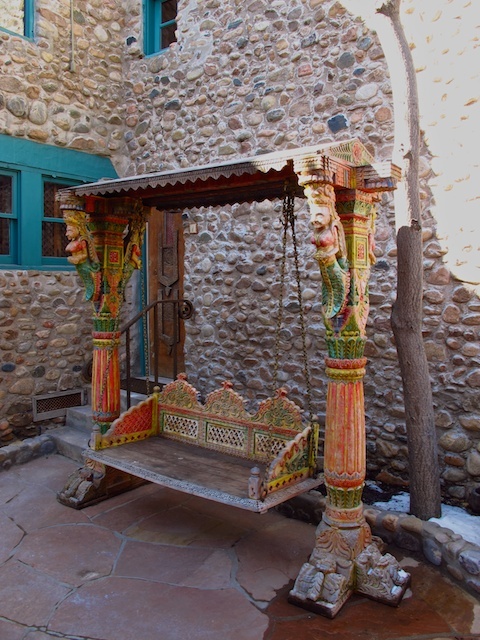 Most rooms share a courtyard and some have multiple entrances. 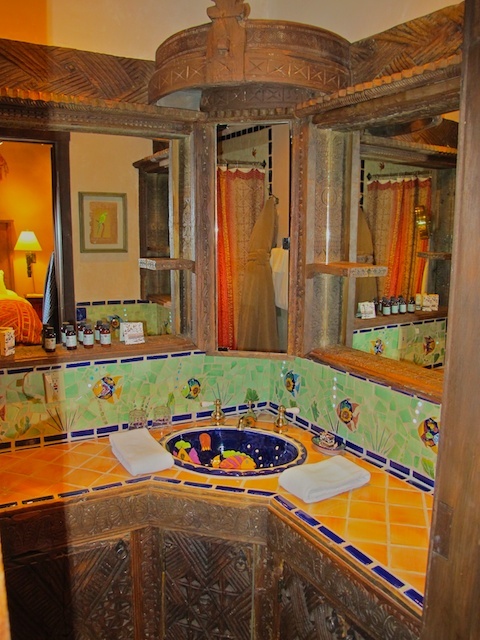 Upon arrival, we were upgraded to the Cottonwood Suite, which included a bedroom with bath, small kitchen, 1/4 bath and a large living area. 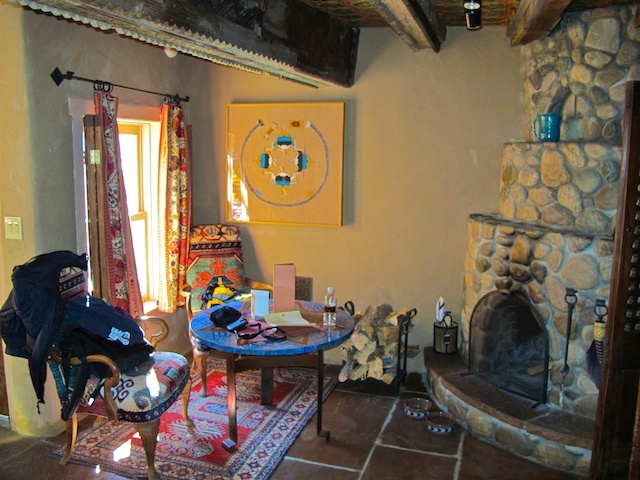 A stone-covered traditional kiva type fireplace was located in the living area and a wood burning stove was located in the bedroom. 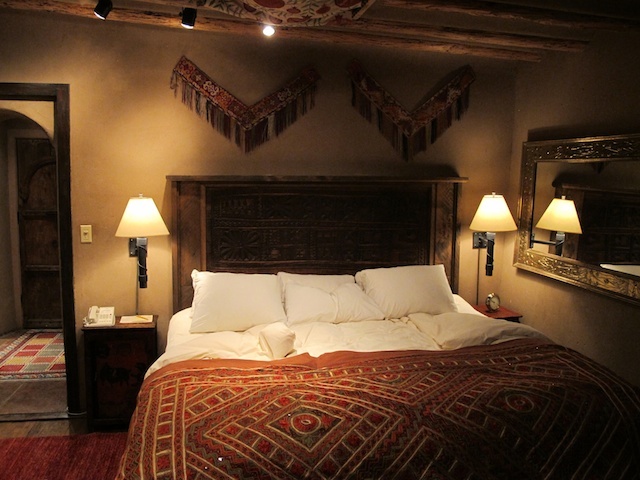 Some rooms are located in adobe style buildings dating back to the 1600s, with walls over 12-18″ thick. 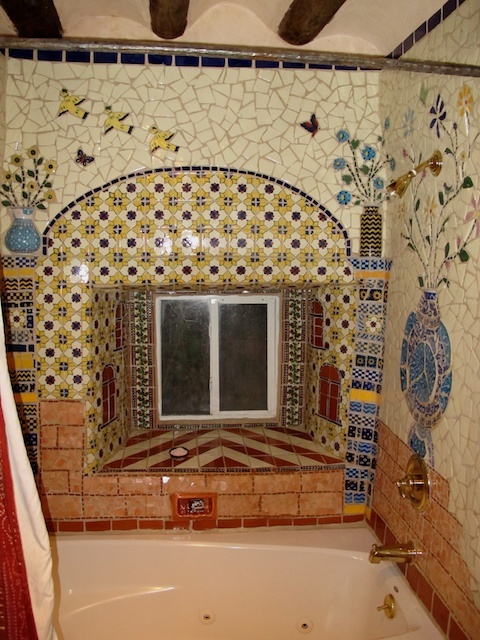 It makes for a quiet retreat and also stays very temperate, no matter what the weather outside. The Five Graces also allows pets with a nightly charge. Rooms include all of the amenities, including DVD player, CD/iPhone/iPod player and TV. Fully stocked mini-bars (non-alcoholic) are included in the room rate. You’ll find a wide selection of soft drinks, candy bars, snack bars and bottled water refreshed daily. In the main reception building, there’s several large sitting/relaxation areas with large overstuffed chairs and sofas. There are computers that you can use as well as a couple of large TVs and a fireplace. Also in the same building is the breakfast area. Breakfast is included in most room rates and the selection of items is typical. The bonus here is that you can order as much as you want from the menu. Plus, if they can, they’ll also create a non-menu dish if you like with a bit of notice. Right outside the breakfast area is a large courtyard, where in nice weather, you can dine outside. The hotel also serves drinks throughout the day. There is a new, modern exercise room located in a separate building. It’s small, but all of the equipment is new. Spa services are also available at the hotel, on a pre-reserved basis. We had a massage while we were here and it was very, very good. They use a large, quite room, well appointed and larger than most treatment rooms. The hotel is associated with a restaurant located directly across the street, 315 Bistro. You can order room service or take a short 2 minute walk and dine in. Everyone here was extremely pleasant and helpful. Almost everyone knows you by name, even if you’ve never seen them before. 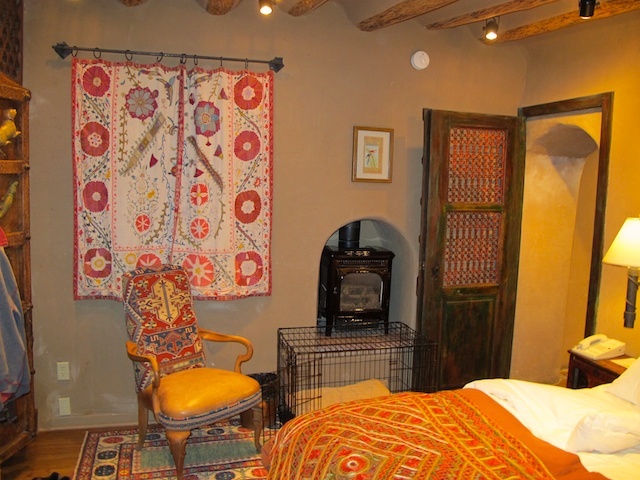 The staff has a vast knowledge of the Santa Fe area and can recommend things to do and sights to see. Just about everything. There really isn’t any reason you shouldn’t stay here. Five Graces has just about everything you could want or need. One downside, can be cost. In high season, this place is extremely popular and discounts are few and far between. 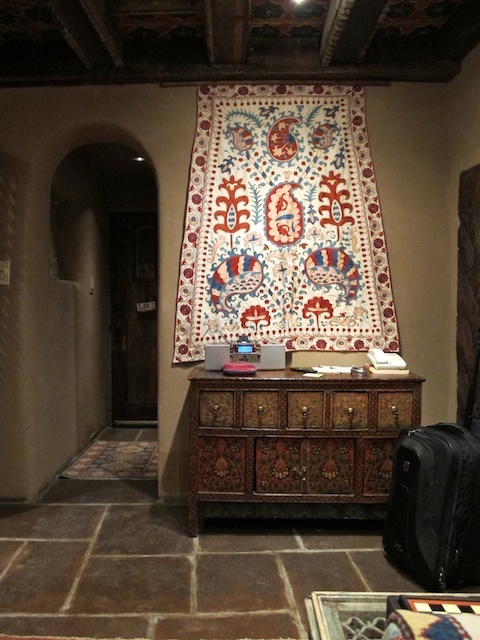 Book for dates in the off season, November – April for significant discounts on rooms. 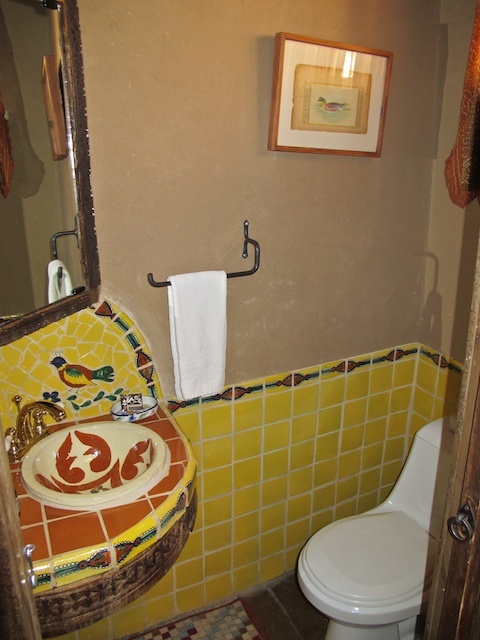 You can see our photo album of Santa Fe by clicking here. Below are some photos of the Inn of Five Graces.